First edition of the economist’s groundbreaking work. Octavo, original cloth. Fine in a near fine dust jacket with a small closed tear to the front panel and light shelfwear. 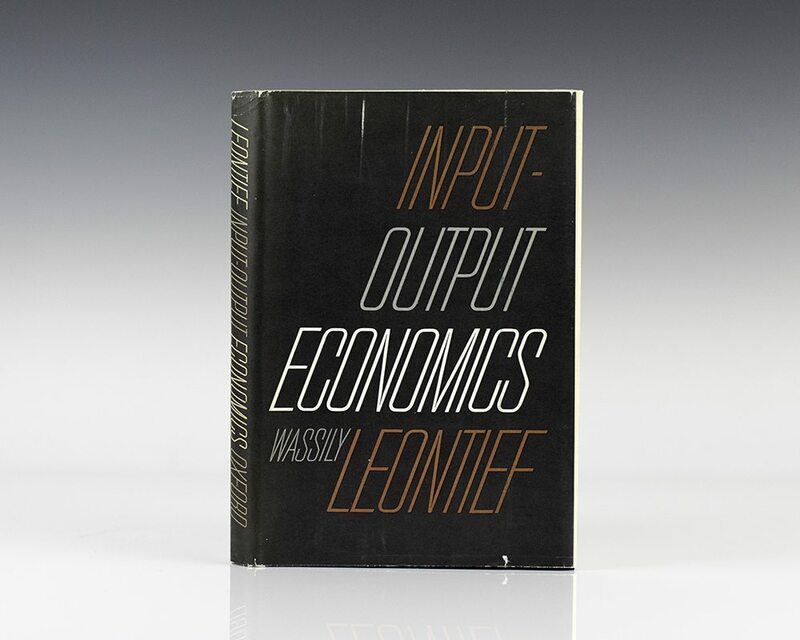 This collection of writings provides the only comprehensive introduction to the input-output model for which Leontief was awarded the Nobel Prize in 1973. 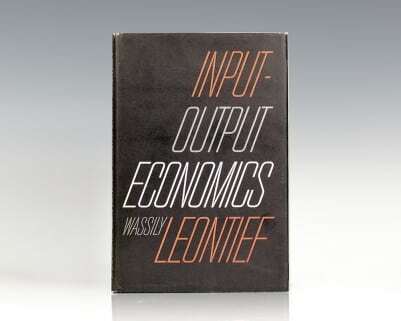 He used input-output analysis to study the trade flow between the U.S. and other countries. He discovered a paradox: U.S. exports were labor-intensive in comparison to U.S. imports. This was counterintuitive considering the U.S.'s economic advantage was in capital-intensive goods. First edition of the economist’s groundbreaking work. Octavo, original cloth, illustrated. Fine in a near fine dust jacket with a touch of rubbing. Jacket design by the Duquesnes. The jacket unfolds into three charts.